This sample of dufrenoysite is displayed in the Smithsonian Museum of Natural History. 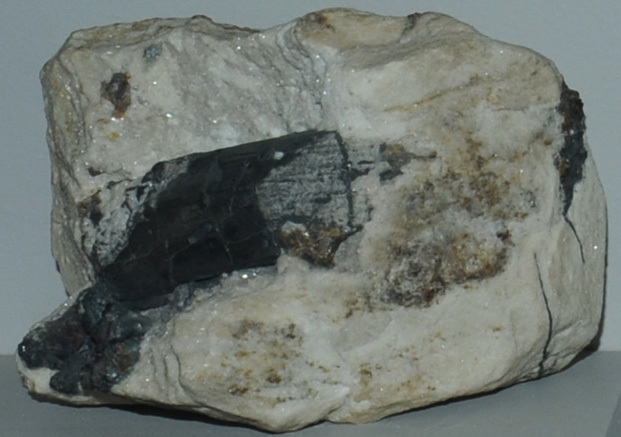 Dufrenoysite is a sulfide mineral of arsenic and lead with the composition Pb2As2S5 . This sample is about 7x5 cm and is from Legengach quarry, Imfeld, Binnatal, Valais, Switzerland. This sample of dufrenoysite is embedded in dolomite.